Carbon monoxide is colorless and odorless gas which is slightly lighter than air in weight. Carbon monoxide if encountered in larger amount can be highly harmful. It can cause various diseases like headaches, weakness, chest pains or many of the respiratory problems. Most of the heating devices in your home produce carbon monoxide to heat your house and these devices also have the risk of carbon monoxide gas leak, more than 90% of the families are aware of this danger but not many families take preventive steps. Carbon monoxide is the natural product of incomplete combustion. Every gas furnace produces carbon monoxide which is carried away from house through furnace venting. A clean and an efficiently working furnace produce less amount of heat if your furnace is dirty it produces the large amount of gas which can be highly dangerous. It is highly suggested to do the annual cleaning of your furnace to prevent gas leak. Older your furnace more the chances of gas leaks. When your furnace is operating normally heat exchanges collect the carbon monoxide produced during fuel combustion and is expelled through exhaust flue. If heat exchanges develop such cracks carbon monoxide moves it will carbon monoxide to move out of the system and enter into your home. 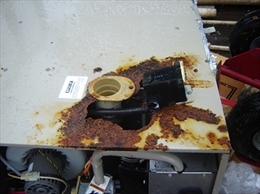 It is must to get to your furnace inspected before the start of winter season. It is important to change your furnace filters regularly, clean furnace helps the furnace run efficiently and keep the dust away from the system. Many of the organizations in untied states now highly encourage the people to do the annual maintenance of the furnace to prevent the house from the carbon monoxide leak. •	Furnace is not having any of the defects or damaged components that will compromise the safety of your house. •	Will check the heat exchanger, exhaust flue, burner and other components of your furnace and make sure they are not leaking gas. •	Repair your system so that it runs at its peak and its maximum efficiency. Installing carbon monoxide detectors in the house is the second most important thing to be done. Install detectors in all the rooms of your house. Installing detectors is an excellent way to prevent carbon monoxide poisoning in your home.